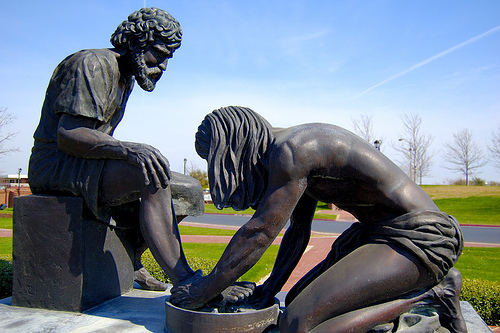 REFLECT: Who did Paul credit as the one who gave him his ministry? RESPOND: Locate three descriptions of the "ministry" we are given. "Therefore, since through God’s mercy we have this ministry, we do not lose heart." 16 For this reason we never become discouraged. Even though our physical being is gradually decaying, yet our spiritual being is renewed day after day. Prior to connecting my faith and spiritual fitness to my physical and mental fitness , I was often discouraged early on in my CrossFit journey by my inability to perform remotely close to the level I knew I was capable of 20-30 years earlier ... "Living my faith" at my box empowers me to "minister by example" and renew and reveal my spiritual strength to myself and others. Great exercise of faith today. Thanks for putting on this website. I'll be participating daily. Paul credits God for his ministry and acknowledges that it is only through God's mercy. The ministry we are given is to "renounce secret and shameful ways", "not use deception", and "not distort the Word of God." I could be wrong but my thought is that this is our ministry and is written this way so we do not discredit our walk with Christ. Thank you for putting this together. Our box is going to love it.